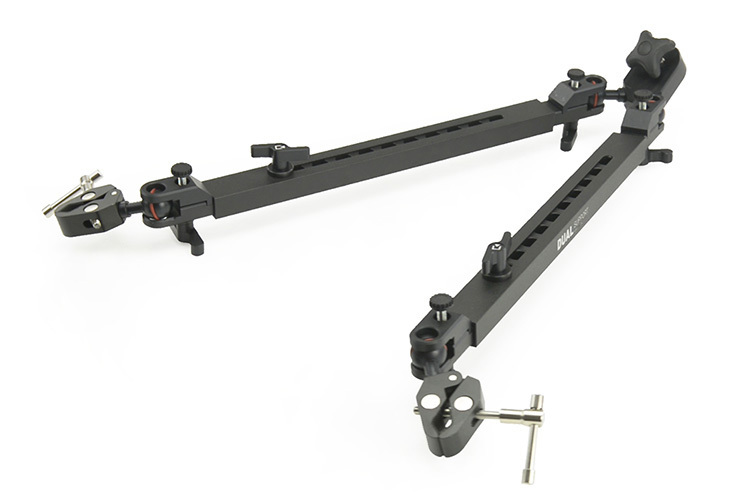 DUAL SUPPORT is a solution designed to increase the stability of longer sliders by adding support on a tripod. 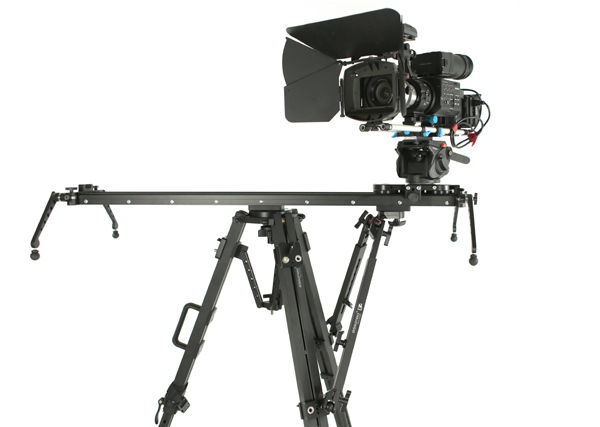 Recommended for working with heavier camera sets horizontally, vertically and at any desirable angle. Universal mounting - Nano Clamps, supported by a plastic protector adapted to profiles shape special for our TRAPPER TRIPOD. 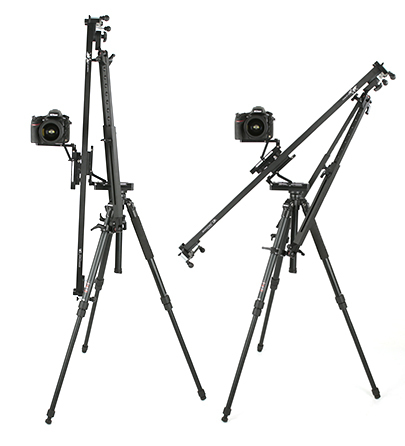 The universal clamps is also ideal for tripods of different brands with tubular legs. 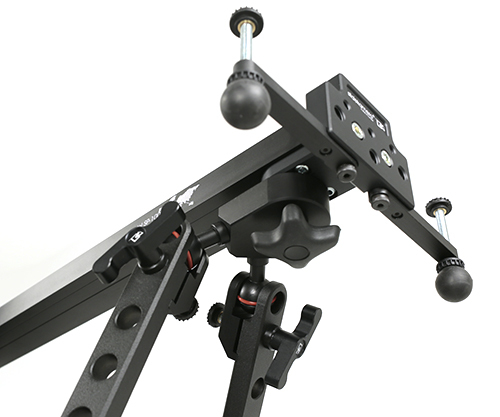 The clamping range is adjustable depending on the diameter of the tripod arms to which you want to attach the DUAL SUPPORT. 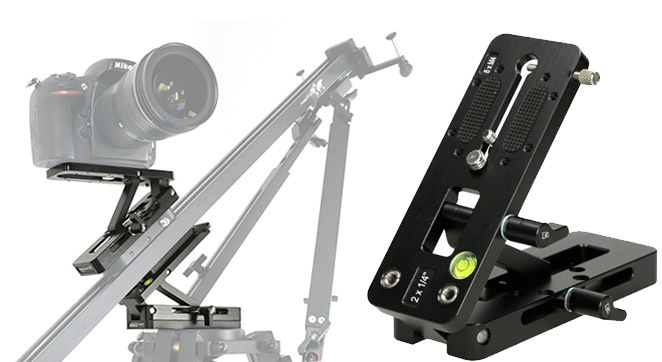 To mount your slider vertically or at any angle use ANGLE adapter. In case of tripods with 75/100mm bowl it is recommended to mount the slider using 3/8" universal mount. 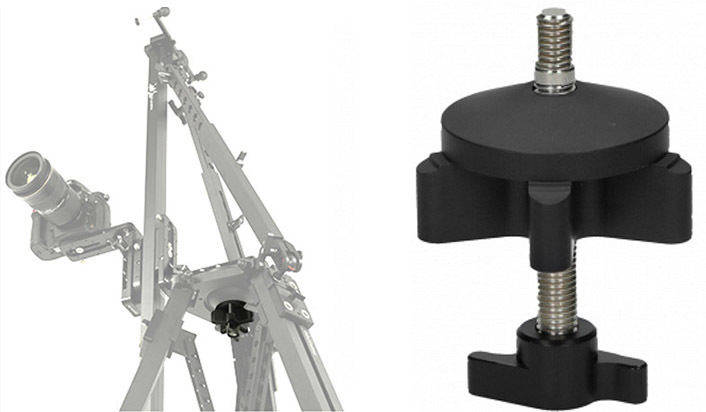 In order to mount the slider on a tripod using DUAL universal support, the slider must be equipped with 3/8" hole at the end of the rail. 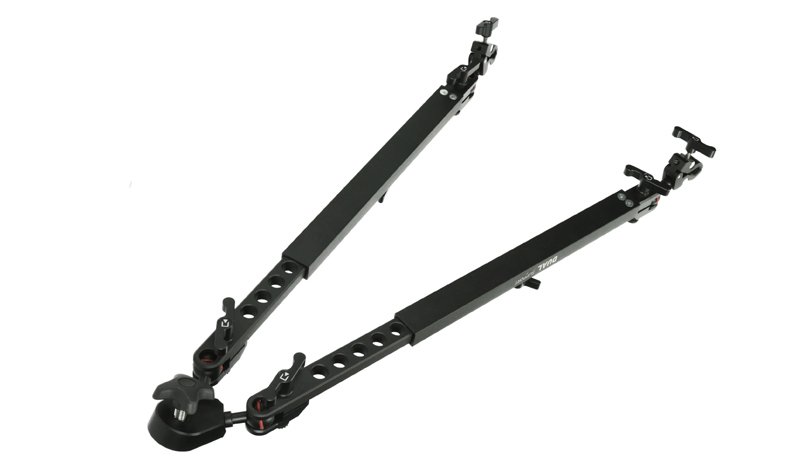 Telescopic design of the support (extention range of 48,5-73,5cm ) allows for wide adjustment range during mounting. 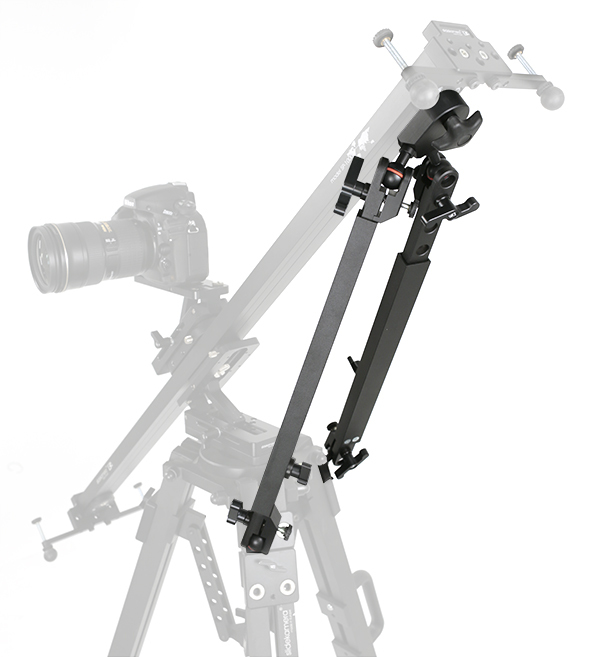 Double arm design of DUAL support prevents the tripod and the slider from any unnecassary movement in two planes, thus ensuring excellent bracing of the tripod. Ball joints at both ends of each arm provide a wide range of smooth, fast and accurate deflection of the device. 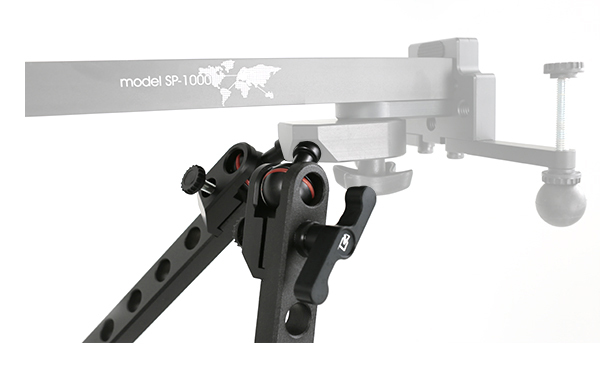 Strong clamps allow to lock the arm of the support in any desireable position.